Recent times have brought challenges for bloggers, especially those with readership in the European Union. Frankly legalese makes my brain fry and my eyes cross so the implications of the GDPR or Global Data Protection Regulation have turned me into a cross-eyed ostrich. However, the internet’s boundaries are porous and we don’t always know where our blog readership comes from, sometimes even if we burrow down into our site’s statistics. This means that to be compliant we need to ensure do our best to ensure that our blog meets the relevant privacy regulations and that our readers are aware of how we’re treating their personal data. Hopefully over time my descendants, and other family historians, will read and be interested in what I’ve discovered about their ancestors. I’ve upgraded my WordPress.com plan so there is no advertising on this site. Again – please let me know if this doesn’t happen. This story was first published on my Family History Across the Seas blog, as Writing Family History – Overcoming Roadblocks. I thought I might include this story here as quite a number of people are interested in Dorfprozelten. Some of the landmarks and features had been mentioned previously in the family history I was writing. You can also see some of these images on my previous post. I submitted to the Queensland Family History Society’s Q150 Founding Families project. Diflo family members may have additional/different information and I would welcome hearing from them. Andreas (later Andrew) and Juliana Diflo arrived in Sydney on the Commodore Perry (see image here) on 26 April 1855, via Liverpool and Launceston, as part of the second phase of Dorfprozelten emigration to Australia. Their baby daughter Maria Diflo, only one and a half years old, had died on the voyage. Andreas Diflo was 45 years old on arrival. 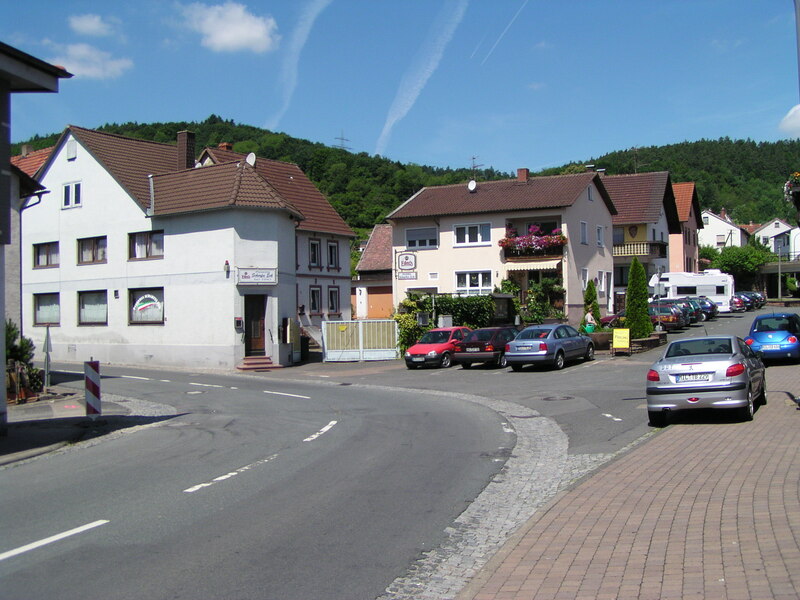 He had been born in Fechenbach, Bavaria only a few kilometres from Dorfprozelten. The Board Lists record that his parents were Laurence and Anna Diflo, both dead before 1855. Juliana Diflo was 28 and her parents were stated as John and Katherine Kirchgessner, also both dead. However this entry highlights an anomaly in the records: it seems that the German women advised their parents’ names in a different way from the traditional British way, specifying their mother’s maiden name as well. Hence Kirchgessner was actually her mother’s maiden name, not Juliana’s, which was later found to be Löhr. 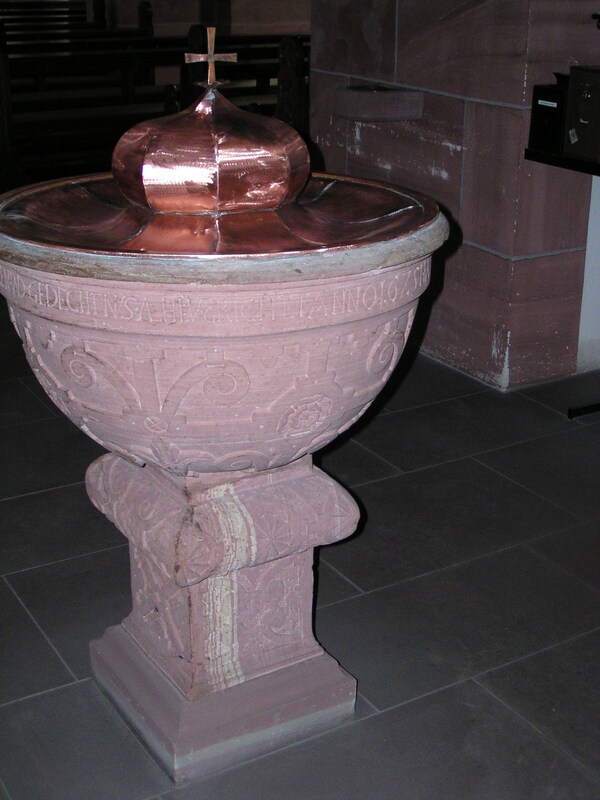 The baptismal font would have been the one in which Juliana was baptised. While some of the entries for German women are correct on the Board Lists, at least a few have been found to be incorrect, and possibly there are more, but our lack of knowledge about their families at home disguises this mistake. An indicator of possible error in this regard is when subsequent birth indexes reveal an unexpected maiden name for the mother. 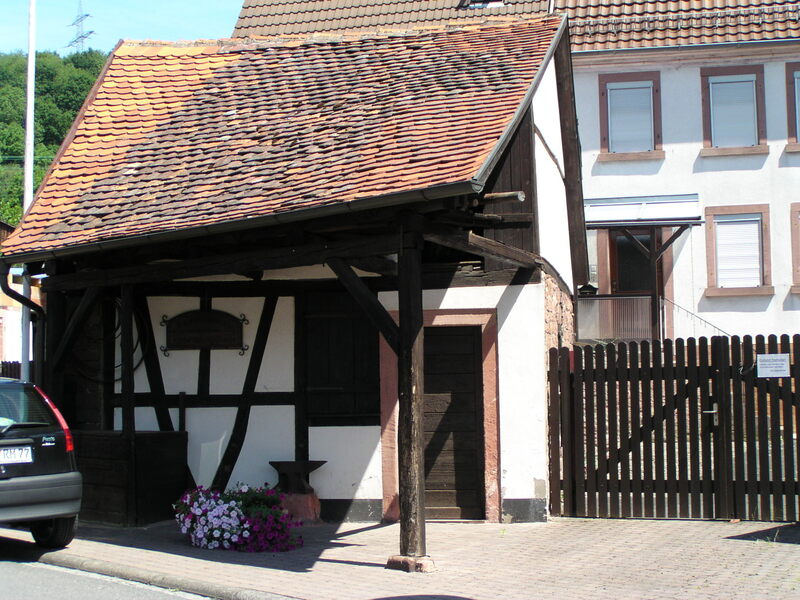 The Dorfprozelten local history reveals that Juliana Löhr was born in Dorfprozelten on 20 March 1826 to Johann Joseph Löhr (day labourer) and Catharina Barbara Kirchgessner. 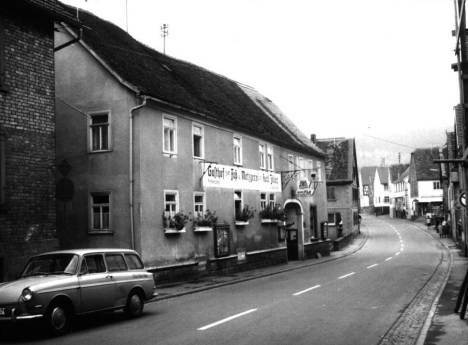 By my estimate, the house on the corner of this street in Dorfprozelten, was the home of Juliana Löhr and her sister. Although the couple’s response to the Board was that they had no relatives in the colony, in subsequent years Juliana’s cousin Eleanor Löhr would emigrate to Queensland and Charles Diflo (also from Fechenbach) who arrived on the Boomerang in 1855 may well have been a cousin of Andreas’s. The Diflos and the other Dorfprozelten assisted immigrants arrived under the German Vinedresser Bounty Scheme which subsidised German families with knowledge of viticulture, and their employers, in order to establish and promote the colony’s wine industry. In reality the immigrants were more usually used in other capacities, especially shepherding on the vast stations of Moreton Bay’s Darling Downs. Andreas Diflo’s immigration record states that the family had been allocated to work for Frederick Castilla of Sussex St and Botany in Sydney. However Castilla did not take up at least some of his allocated employees and they were re-allocated to other employers. The Diflo family were among those who were sent to different employers and it is reasonably clear that Andreas and Juliana were probably recruited to Westbrook station near Toowoomba within a few months of arriving in Sydney. The life of a shepherd was an isolated and confronting one and it differed enormously from the close communal life they were used to in their home village. The Diflos were fortunate to be less remote than many of the other German immigrants posted to distant properties as far west as Roma. Juliana Diflo gave birth to their first colonial-born child on 26 May 1856, thirteen months to the day from their arrival in Australia. Joseph Diflo was baptised by Father McGinty of Ipswich Catholic parish on 16 December 1857 with Donald McLennan as witness. Joseph was baptised during one of Father McGinty’s extended bush tours to minister to his far-flung congregation. 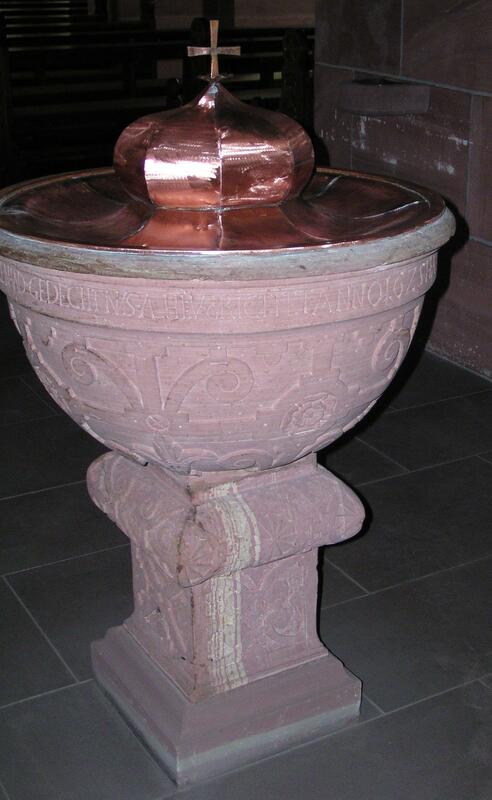 The lack of a church and the immediate opportunity to baptise their children must surely have been one of the major frustrations and difficulties for the Dorfprozelten Catholics. At home it was usual for the child to be baptised on the day of its birth if born in the morning or on the next morning if an afternoon or night birth. To have to wait for many months, and sometimes years, must have been very difficult and it seems likely they’d have compromised by baptising the child themselves as an interim measure. Andreas’s and Juliana’s second child, Mary Diflo, fared better as she was born on 6 April 1858 and baptised just a month later on 8 May 1858. On both occasions Fr McGinty recorded the parents as Andrew Diflo and Juliana Lohr (sic) of Westbrook. The witness to Mary’s baptism was John McQueeney. Joseph Diflo married Sophia Charlotte Schulz on 18 June 1878. Joseph was a farmer at Charlton. He died on 6 March 1925. The family has a large plot with a gravestone in the Drayton and Toowoomba cemetery. The death certificate states his age as 68 years 9 months and 8 days. Joseph and Sophia Diflo had eight children, of whom a son had predeceased them. Joseph left an estate of £485/12/4 to his wife Sophia. Mary Diflo married Peter Erbacher in the Toowoomba Catholic Presbytery in September 1880. Peter was born at Helidon in 1880 to Frederic Erbacher and Margaret Edingau. He was a bachelor living in Perth Street, Toowoomba. Mary lived at Gowrie Road. The witnesses were John George Muss, Annie Diflo and Lizzie Adams. 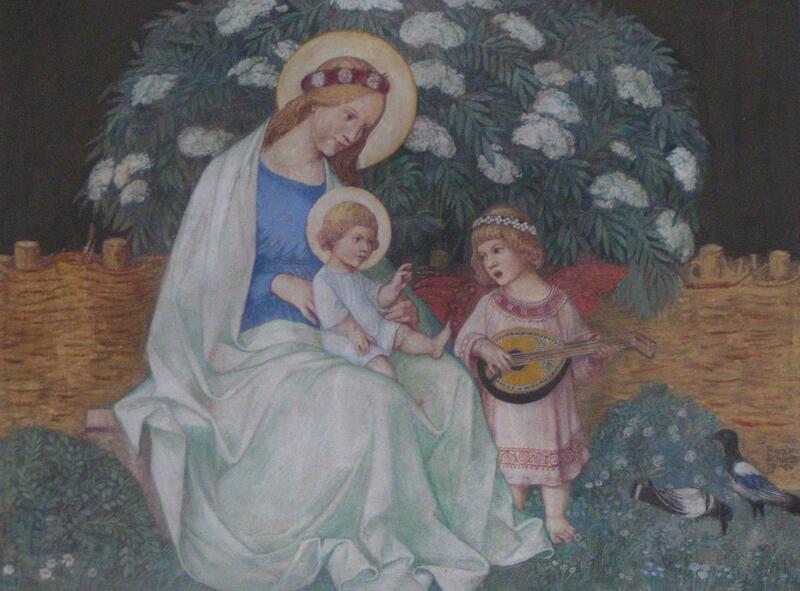 Peter and Mary had nine children. Mary Erbacher died 11 March 1939, aged 80, and is buried in the Drayton and Toowoomba cemetery. Peter Erbacher died on 27 August 1932, aged 75. Michael Anton Diflo born 1860 married Ernestine Wilhelmine Gierke and and they lived at Cawdor. Michael died 30 May 1929 and was buried in the Drayton and Toowoomba cemetery. His wife died 20 October 1942, aged 82, and was buried with him. Anne Diflo born 1863 married Peter Ott on 14 February 1883. They lived at Middle Ridge, Toowoomba. They had twelve children. Annie Ott died on 13 February 1959, aged 95 and was buried in the Toowoomba cemetery. Rosa Diflo (born 1866) was usually known as Rosey Diflo. She married Leonhard Mühling, a bricklayer, in the Toowoomba Catholic Church on 8 January 1885. She was only 18 years old. The records incorrectly state her father’s name as John Diflo. Leonard’s father was also Leonard Mühling, a farmer. 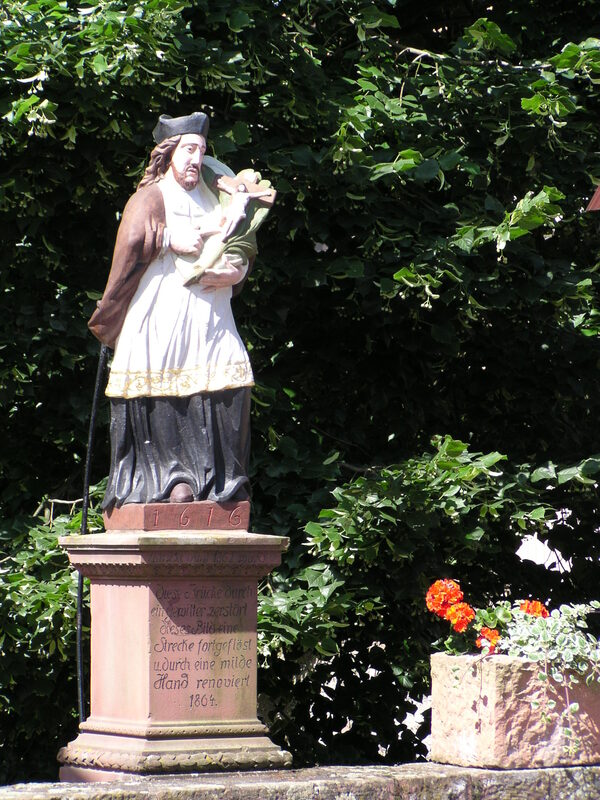 His mother’s name is not stated but is known to be Franciska Mundenan from other records. The witnesses were John Mühling and Beatrice Appelo (Appel?). Rosey and Leonard had twelve children. Leonard Mühling donated £1 to the Toowoomba Catholic Church building fund in December 1882 but given their ages, this is likely to have been the father, not the son. John Andrew Diflo (born 1869). Andreas Diflo was naturalised on 17 April 1860. He stated he was living at Westbrook, where he was employed as a shepherd. He was fifty-one years old and a native of Germany. He was said to have arrived on the Bergu in 1855. His nominators, William Beit and Thomas Muir, had known him since his arrival on 18 September 1855. What is interesting is the length of time after their arrival that it took for the Diflos to arrive at Westbrook. Whether this was due to the change of employer or whether they had a brief period elsewhere is not known. In August 1869 Andrew Diflo was a signatory to a petition sent to the Catholic Bishop regarding the lack of pastoral care for the German community in Toowoomba. Several other Dorfprozelten Catholics were among the frustrated church members who felt their engagement with church sacraments was affected by Father Dunne’s lack of German language skills and his bias towards an Irish model of Catholicism. Despite this it appears that Andrew continued with his Catholic faith as the family’s church involvement is shown in baptisms and marriages. In 1872 Andrew Diflo was a witness at the marriage of another Dorprozelten immigrant, Hildagardis Hock widow of George Günzer, to Franz Bodmann. 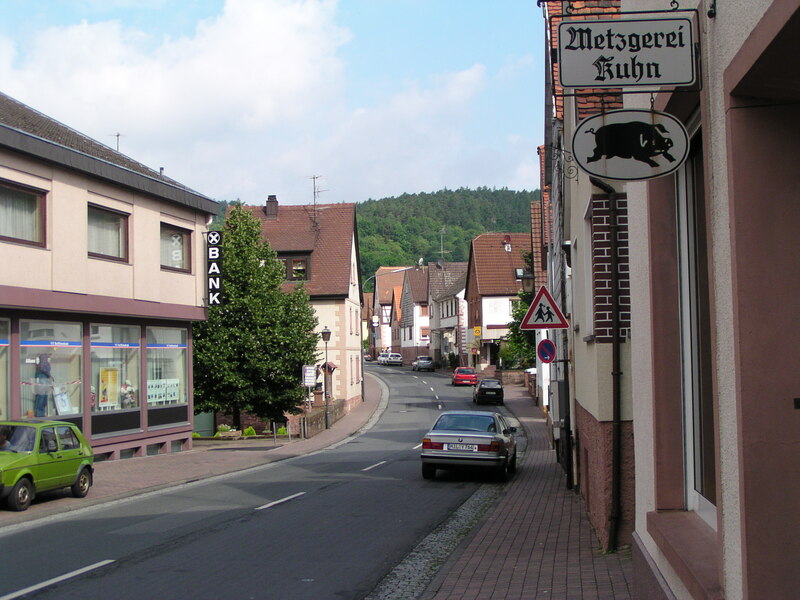 George Günzer had also worked at Westbrook after his arrival from Dorfprozelten in 1856 so the two families would have known each other well, both in Moreton Bay and in Bavaria. Andrew Diflo died on 3 October 1880, aged 71, and is buried in the Drayton and Toowoomba cemetery. In his will of 10 September 1880, Andrew divides his property between his wife Julia Diflo and their son, Michael Anton Diflo of Toowoomba. Julia was to receive “all that piece or parcel of land situated near Toowoomba on the south side of Gowrie Road being portion 457, County of Aubigny, parish of Drayton” comprising 6 acres. His son Michael Anton Diflo was to receive the land on the north side of Gowrie Road, being portion 456 and comprising 29¼ acres. His wife and John Karl were the executors. Julia died on 12 April 1883, aged 58, and was buried in the Drayton and Toowoomba cemetery on 13 April 1883. Julia’s will provided for the house, land and outbuildings on portion 457 to be sold and the monies to be divided between her daughters Mary Annie and Rose. Her personal effects and household furniture were given to Rose and the farming equipment was bequeathed to Michael Anton. I would welcome contact from any descendants as I am researching all the emigrants from Dorfprozelten. State Records of NSW, Persons on Bounty ships to Sydney, Newcastle, Moreton Bay 1848-1866. CGS 5317, microfilm 2469, reference 4/4946. Veh, G. Dorfprozelten am Main Teil II, Benedikt Press, 2002, page 29. Juliana’s maiden name is recorded variously as Lohe, Luar, Luir and Leur. RC 2, Block: 12, Allotment: 34, grave M540. Queensland death certificate 8847 of 1925 referenced in the indexes as 1925/C1009. Toowoomba Diocesan Archives, Toowoomba parish marriage records. Section RC1, Block 14 Allotment 12, grave Q572 (Mary) and grave N714 (Peter). 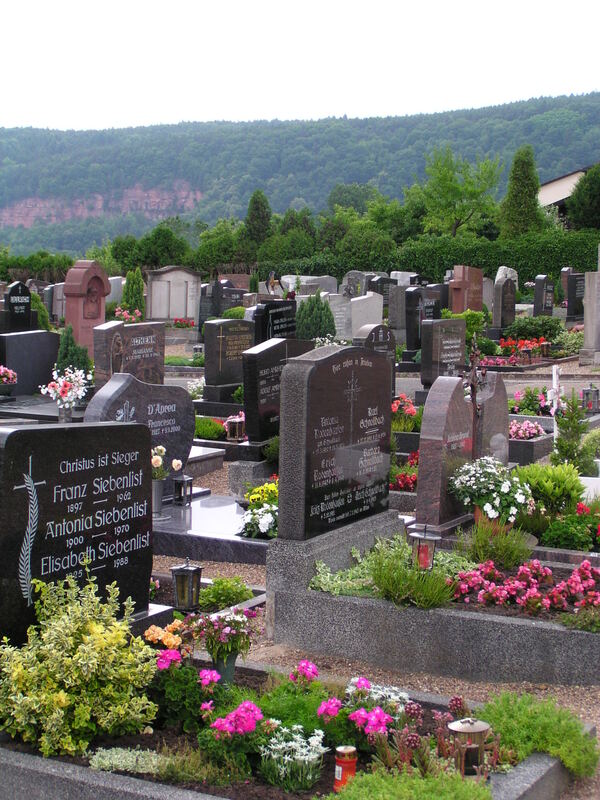 Section: LUTH 2, Block: 3, Allotment: 36; Grave 540 as Michael Austin Diflo. The Australian (Catholic newspaper), 16 December 1882. This is possibly a coastal steamer but could equally be a mis-spelling of the Peru, which arrived in Sydney in May 1855. It does seem strange that Andrew would have forgotten his voyage out so quickly. Perhaps the mistake lay with his sponsors who probably completed the form for him, especially if they took other passengers from the Peru. The Vanquish brought 50 German immigrants to Brisbane on 20 May 1855 and may have included some of the Commodore Perry immigrants. Byrne, N J. Robert Dunne: Archbishop of Brisbane, University of Queensland Press, Brisbane, 1991, pages 82 and 272. The Dorfprozelten people Joseph Zoller (Zöller); Tazilia Dining (Cecilia Dümig aka Dimmick), Andreas Difflo (husband of a Dorfprozelten woman) and Charles Werner (Wörner). RC OLD 2, Block: R3, Allotment: 4; Burial B25. Queensland State Archives Item ID741867, Ecclesiastical file, # 2243 . Formerly 211/1925. RC OLD 2, Block: R3, Allotment: 3; Burial B442. Queensland State Archives Item ID741883, Ecclesiastical file #2831. 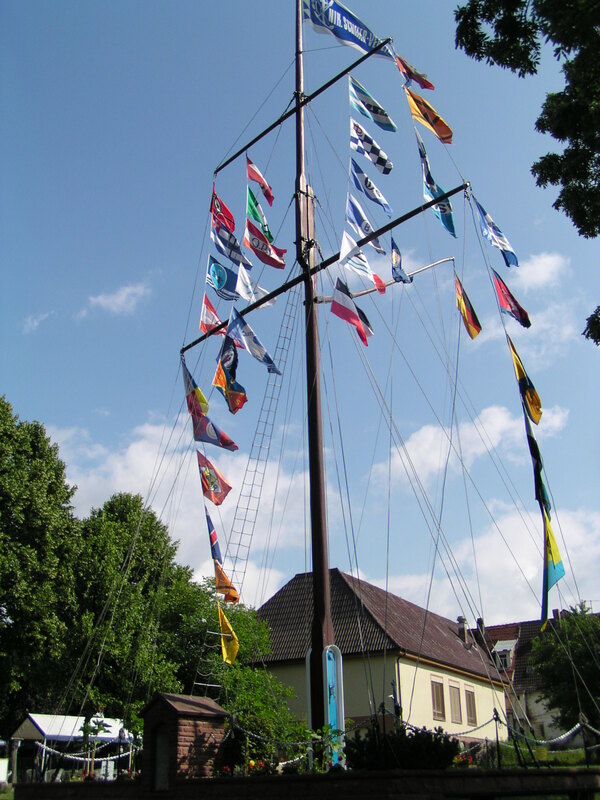 Cass, P. They weren’t all Lutherans – a case study of a small group of German Catholics who emigrated to Australia from Dorfprozelten, Bavaria in 11th Australasian Congress on Genealogy and Heraldry, Genealogical Society of the Northern Territory, Darwin 2006. 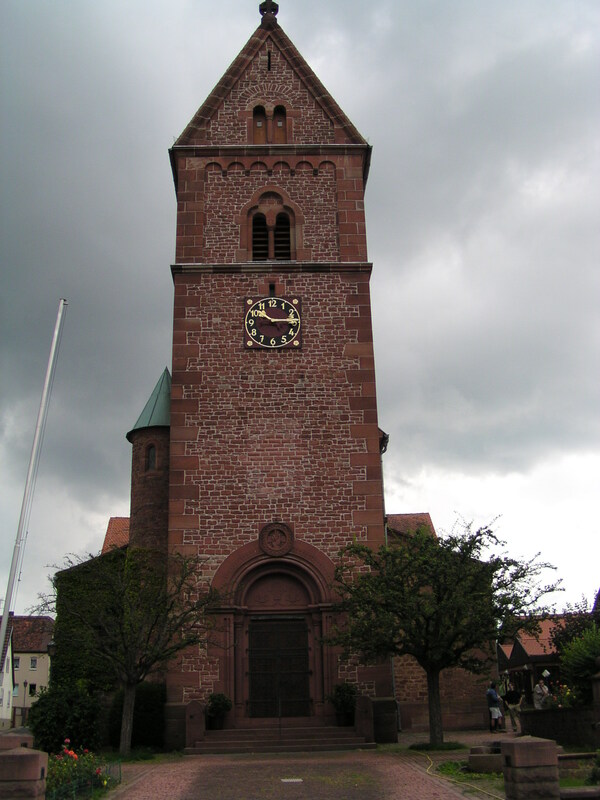 This is Part 2 of the Dorfprozelten posts from my Family History Across The Seas blog. Among these posts are some more general ones from my Beyond the Internet series which refer to the Dorfprozelten emigrants. 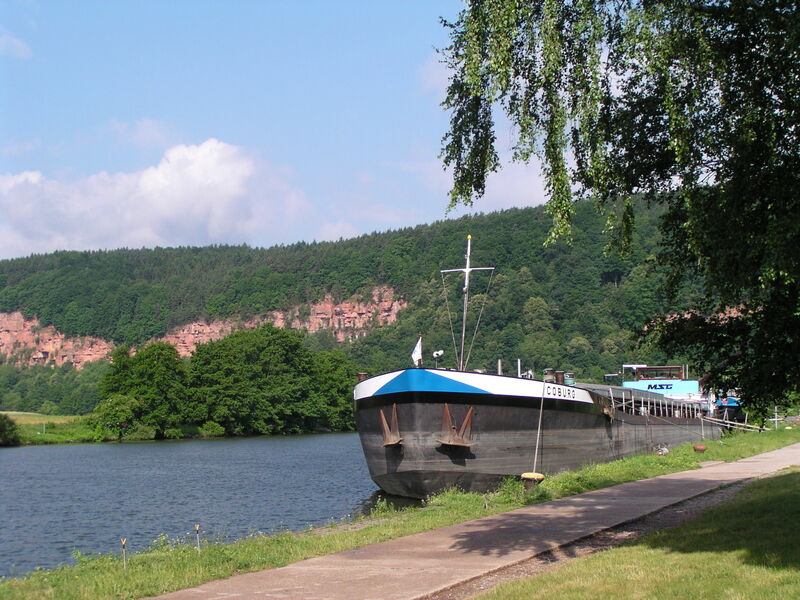 How I solved a writing roadblock to convey the essence of life in Dorfprozelten and how an ancestor may have left his home town by using an imaginary tour. The discovery of one reason why the Kunkels left Ipswich. Stories in the Q150 book from Queensland Family History Society. 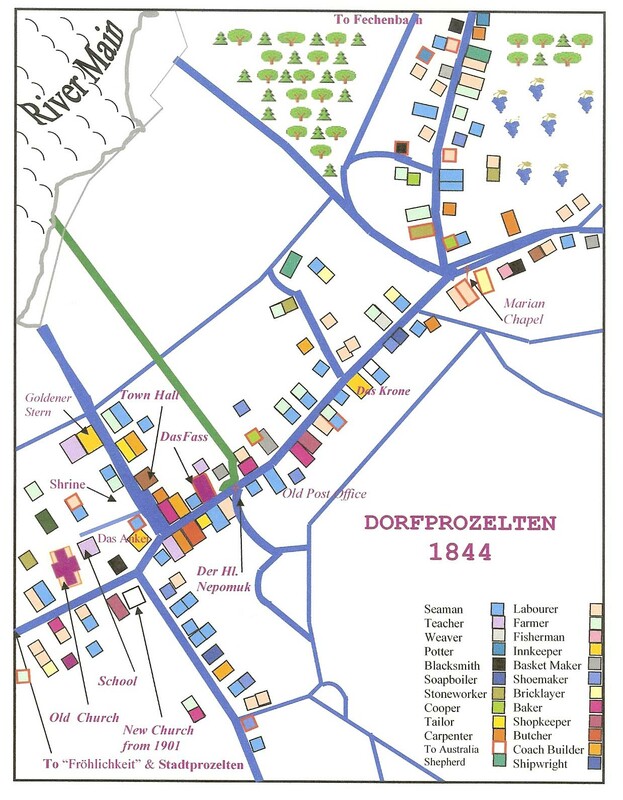 How I came to learn of the Dorfprozelten emigrants under the Vinedresser scheme. Travels back to my roots. 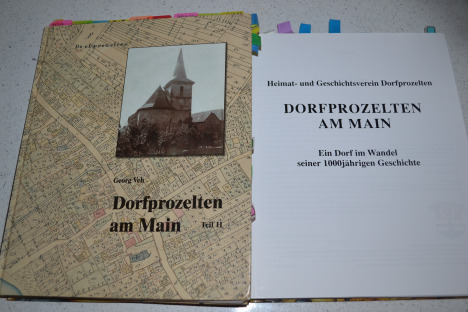 The usefulness of local histories and in particular the Dorfprozelten local history. Week 40 of my Beyond the Internet series focused on immigration for our ancestors. Week 41 of my series, focusing on migration records for family research. Week 42 of my Beyond the Internet series focused on the ramifications of naturalisation. This post gives examples which mention Dorfprozelten people. This poor blog has been languishing in the shadows of my primary blog, Family History Across The Seas. Because I focused this blog on the Dorfprozelten emigrants to Australia, I’ve ended up putting other Dorfprozelten posts on the main blog so I thought I’d best add some links here. Click on the title to go to the relevant post. The joys, successes and frustrations of researching German family history. How to (try to) find family mentions in online German newspapers under Google Books. Publishing the family history of George and Mary Kunkel. 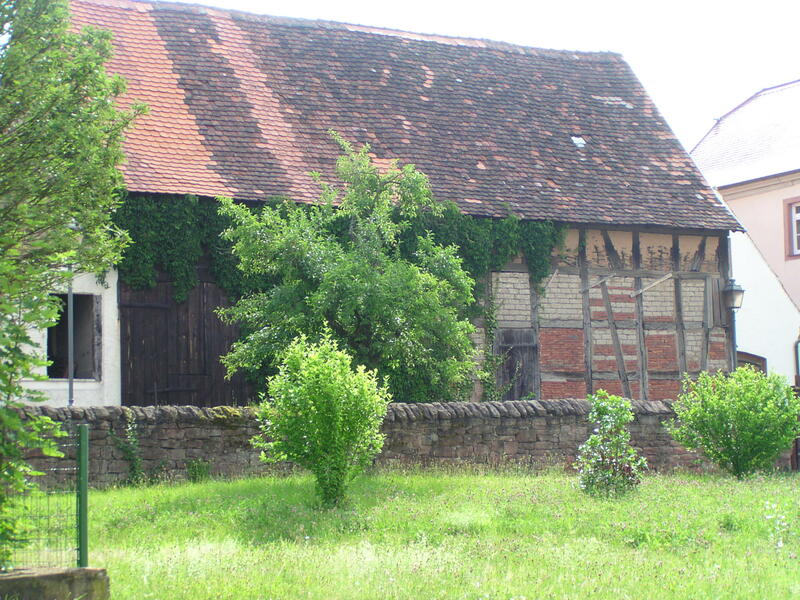 Summarising the inn-keeping genealogy of the Happ family in Dorfprozelten. The approximate time frame of direct descendancy is c1740-1940s. News of the new “From Dorfprozelten to Australia” blog. 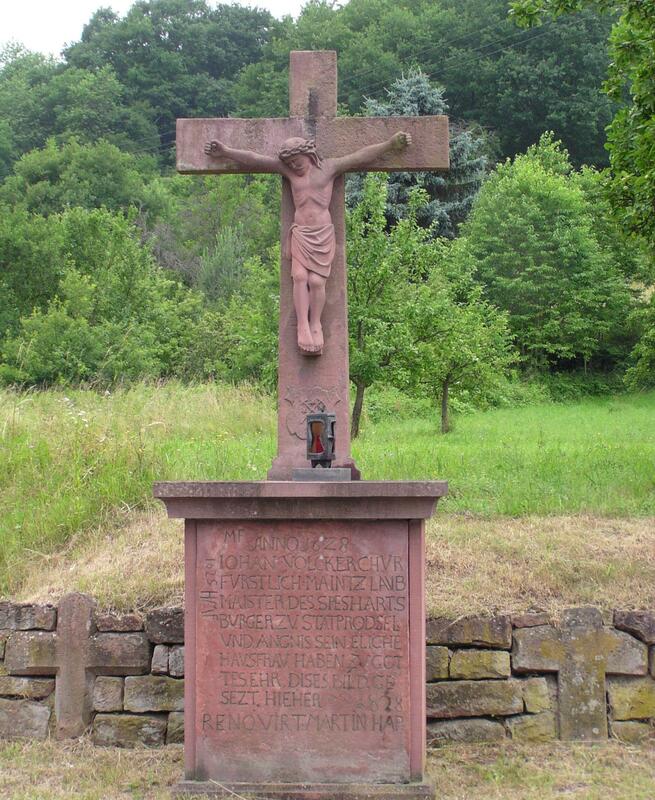 The story of the Dorfprozelten descendants who fought in WWI. 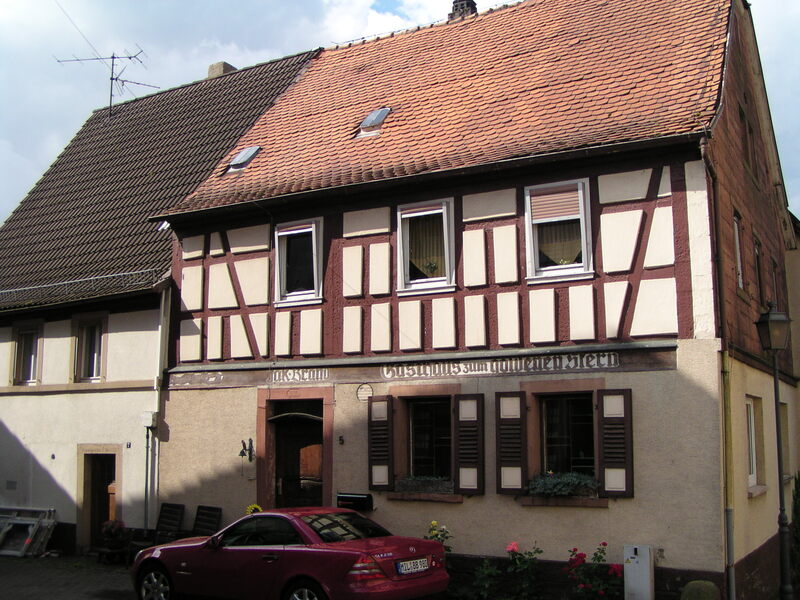 Discovering more of the fortunes of the Fass Guesthouse from German newspapers online. The Ulrichs, Kunkels and Happs, and trying to trace Philip Joseph Kunkel in “America”. The story of Peter and Josephine Büttner nee Ulrich , Bertha Ulrich and William Kuhn, John Jacob Ulrich and Ida Rippenberger, and George Jacob Ulrich (all of Syracuse, New York) and Lothar Ulrich of Niagara Falls. The Happ family of inn-keepers in Dorfprozelten and the migration of some to the USA. 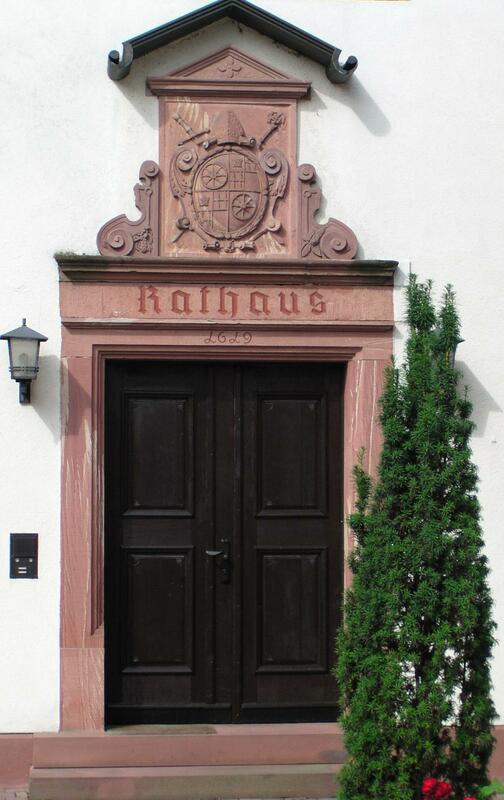 The story of Raimund Happ in Bavaria, New York and San Francisco. The story of Julius Happ in Germany and later in the United States. An imaginary conversation with my 3x great grandmother from Bavaria. 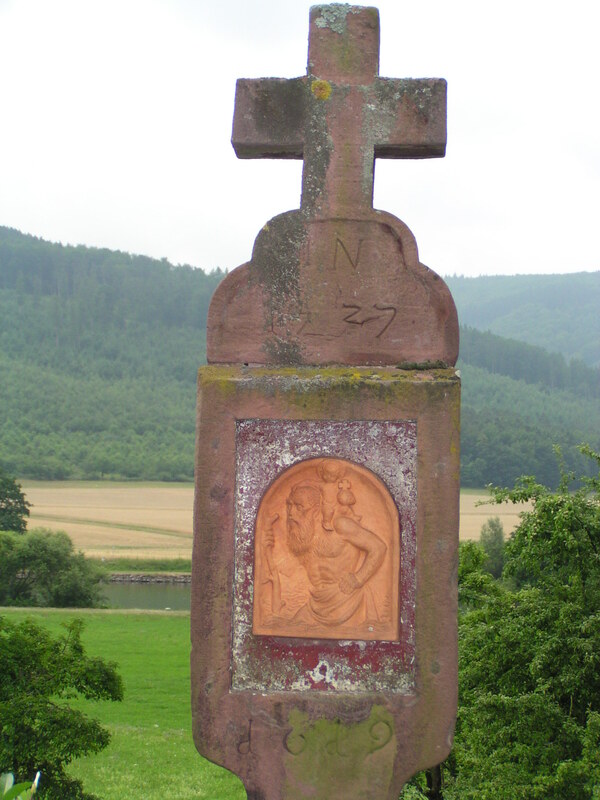 Includes some reference to the Zöller immigrants from Dorfprozelten. Come back tomorrow to see the rest of the links.